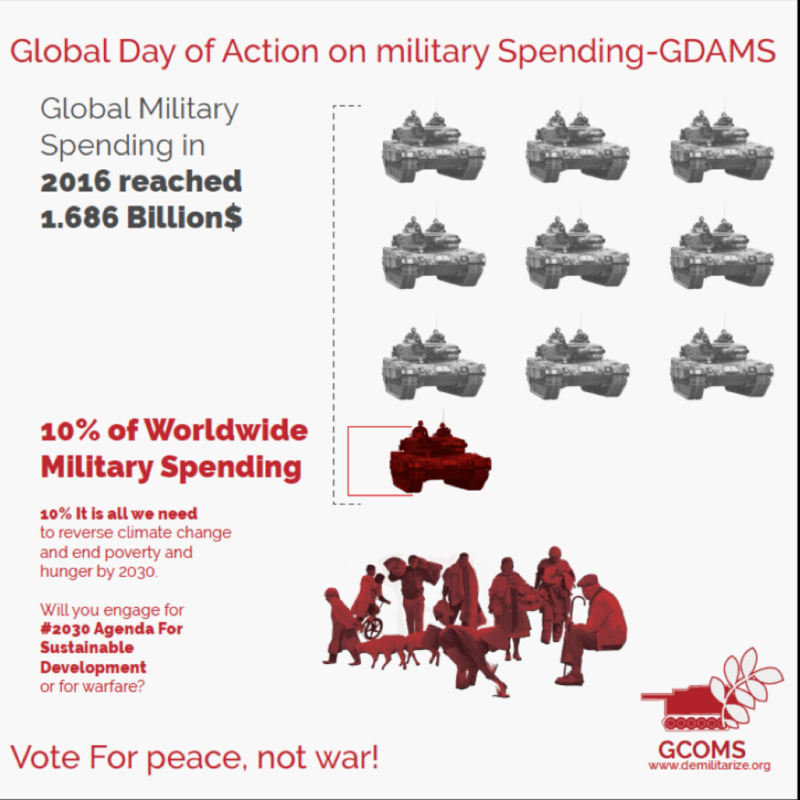 The Global Campaign on Military Spending (GCOMS) is an international campaign promoted by the International Peace Bureau. The Global Days of Action (GDAMS) it organizes is an annual occurrence. The aim is to reduce the global military spending thanks to cooperative work with civil society groups. Reducing 10% of military assets will help save our planet. Take action!